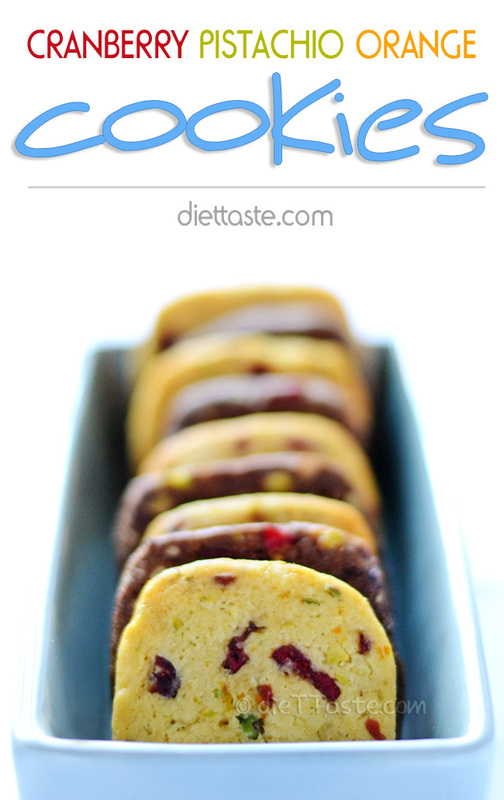 Cranberry Pistachio Orange Cookies – easy icebox cookies rolled in orange sugar will dazzle your guests. 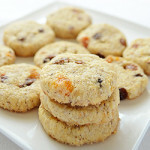 I found the recipe for Cranberry Pistachio Orange Cookies on Culinary Concoctions by Peabody blog. 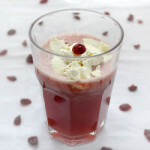 The owner of the blog adapted the recipe from Land O’Lakes Holiday Cookies 2005. She says this is “The cookie so good my mom had to tell me they were so good about 20 times”. I was so intrigued that I had to try it myself. I made some changes to the recipe and used agave nectar instead of sugar when making cookie dough. Also, I added 1/2 cup pistachio nuts to introduce some festive color. I also experimented a bit and added about 1 Tbsp cocoa powder to the half of cookie dough. These cookies should work as slice-and-bake icebox cookies. You can prepare them ahead of time and keep them in your freezer. Then just pull-out and bake when you need them. 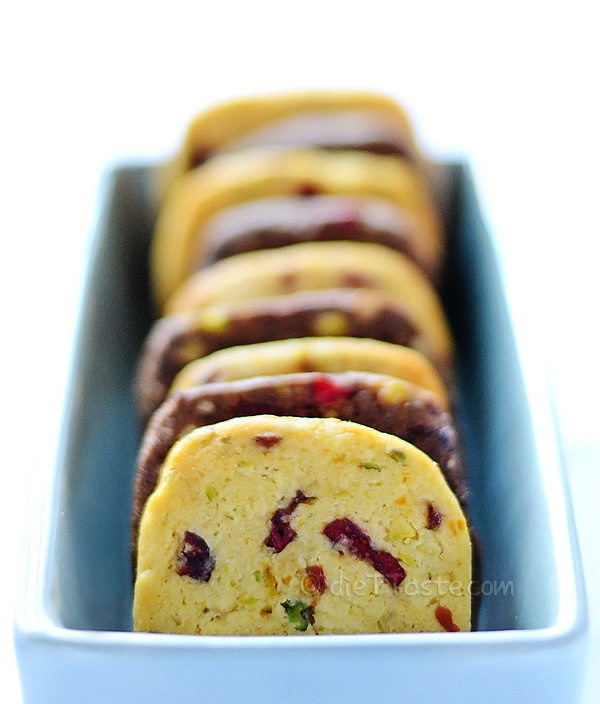 Cranberry Pistachio Orange Cookies were very good and I would definitely make them again. 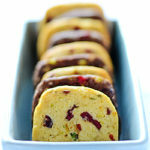 Cranberry Pistachio Orange Cookies - easy icebox cookies rolled in orange sugar will dazzle your guests. 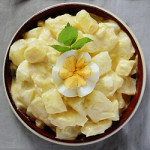 COOKIES: In a large bowl, mix 1 cup sugar with butter and egg until creamy. 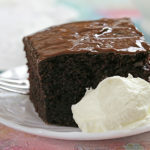 Add flour, baking powder and baking soda and mix until combined. ORANGE SUGAR: In a small bowl, combine 1/3 cup sugar with 1 tsp freshly grated orange peel. 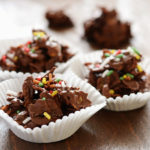 Shape cookie dough into 1-inch (2 1/2 cm) balls. Roll balls in orange sugar and put them 2 inches (5 cm) apart onto cookie sheets lined with baking paper. Flatten each cookie with bottom of glass. Bake in 350 F (175 C) preheated oven for about 7 minutes or until edges become pale golden. Be careful not to overbake. Cool for 1 minute before removing from cookie sheets.